There are many, many monsters in the extremely popular game Witcher 3 — but perhaps no monster sticks in your mind quite like your first monster, the majestic and dangerous Royal Griffin. 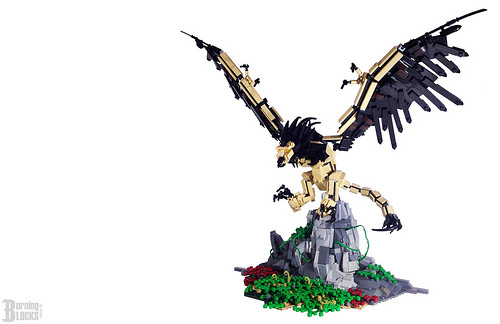 Builder Charis Stella managed to pull himself free from Witcher’s grasp long enough to design this gorgeous griffin — one that utilizes swords, tails, teeth, and tiles to give this beast both character and a sense of motion. It wouldn’t be too bad a way to go if this beautiful flying Royal Griffin were the one to do you in. Still though, pretty bad way to go.